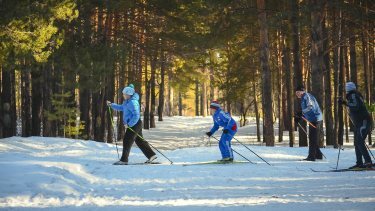 Enjoy over 58 km (36.4 miles) of machine groomed ski trails directly from Cascade Lodge property. Twenty eight kilometers of these trails are groomed by Cascade Lodge-the only resort on the North Shore with a Pisten Bully groomer! 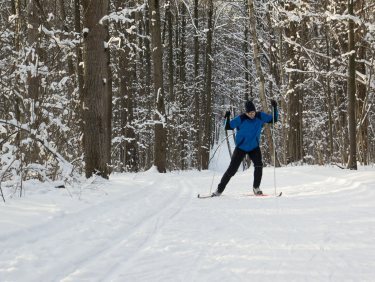 Our 28km of groomed trails connect into both Cascade River State Park's trails as well as the 30km skating/classic trails to the east of the Lodge including the Hall and Massie loops in Lutsen. A newly developed skating lane which runs from Cascade Lodge to the Lutsen Ski Hill road and back is available for this style of skiing. An interesting note on Cascade Lodge ski trails is that from the high point at the Firetower at 1881 feet above sea level to the low point at Lake Superior at 600 feet, we feature over 1280 vertical feet to traverse over a wide variety of difficulty levels from easy to most difficult.